Because of how revolutionary this discovery is, it’s set to create a new generation of millionaires. This new fuel will cost $49 a gallon, and we know what you’re thinking: This superfuel sounds expensive. But what the locals call “Oro Blanco” could be one of the greatest bargains you’ll ever come across. With the typical mid-sized American car, you can drive 25 miles on one gallon of gasoline. If you have a hybrid-electric model, you may be able to drive between 40 and 50 miles. 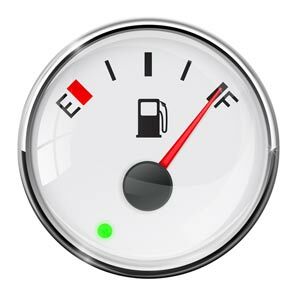 But with what Money Morning Global Energy Strategist Dr. Kent Moors calls “OBL,” you could drive 42,325 miles on a single gallon. That’s the same as driving from New York City to Los Angeles and back seven times. There are two reasons. First, gasoline can start boiling at 104 degrees Fahrenheit. When it does start boiling, it will start to evaporate. However, what Moors calls OBL doesn’t have that problem. It doesn’t start boiling until 2,457 degrees Fahrenheit. That means this new fuel is stable at temperatures much higher than any car engine can produce. Now, the second reason sounds a bit magical. But the secret that’s giving these tiny crystals such an immense amount of energy is very real. Astrophysicists have observed OBL being produced when dwarf stars and cosmic rays collide. Of course, if this was the only way this new fuel was being made, we would be out of luck. We are still a ways off from mining asteroids and energy exploration missions in outer space. However, there is a violent event on Earth that can create OBL. The collision of tectonic plates deep in the Earth’s crust, under the perfect conditions, produces the mysterious crystalized substances that could revolutionize the energy industry. Because of the precise conditions needed to create this new fuel, it primarily exists in the Andes Mountains. In very acute areas of this region, tectonic plates will shift, twisting the ground above like a wrung towel and leaching a liquefied mixture of OBL through the rocks. It then bubbles up and settles into hydrothermal pools. Over time, the arid climate will cause the water in these celestial ponds to evaporate. What’s left behind is the new fuel Moors calls OBL. A tiny miner has just stumbled upon a treasure trove of OBL, spread across seven deposits right here in the United States. And it’s recently secured the rights to this 15,000-acre discovery. And its single discovery could be worth 225 times more than its current market cap. This is a quickly developing situation. So Dr. Moors is going to give you the full scoop. And it’s critical that you learn how to stake a claim while this micro-cap stock is still trading for around $1.50 a share. So you can have a chance to get in on the ground floor. Find out more, right here.